The Callaughtons Ash scheme has been built on behalf of South Shropshire Housing Association for tenants with a local connection to the town. 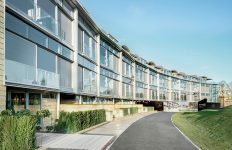 The development comprises 12 one, two and three-bed Passivhaus homes, with 10 allocated for affordable rent and two for shared ownership. 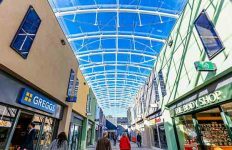 The highly sustainable scheme was designed by Architype, an architecture firm based in Hereford with offices in London and Edinburgh, which has been working at the forefront of sustainability for many years. 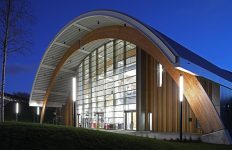 The company works on projects across the country and is a specialist in residential and commercial Passivhaus projects. The design process started in 2015, in close consultation with local residents about the location of the scheme and the design of the Housing Association homes. 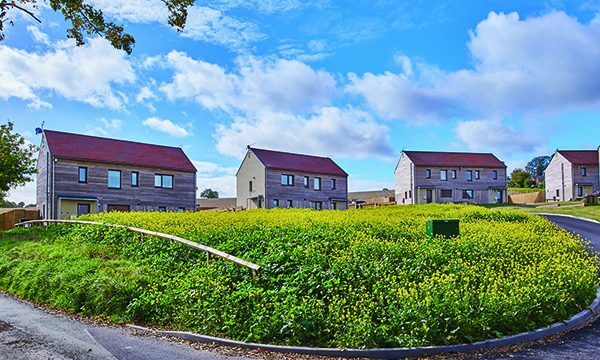 Architype were keen to use a natural palette of materials for the timber framed houses, so the development would blend effortlessly with its surroundings, and to use locally sourced, sustainable products where possible. Under the Passivhaus standard guidelines, thresholds need to offer level access for accessibility yet provide a heat-proof seal to ensure warm and cold air is not able to flow under the door. Architype had looked at one supplier but due to the risk of condensation with the door’s design, they had to go back to the drawing board. 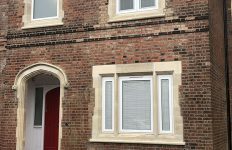 Contractor on the Much Wenlock project, SJ Roberts Construction Ltd, had worked with REHAU before and suggested them to Architype as a possible alterative supplier. In total, 24 AGILA Passivhaus doors were manufactured for the Much Wenlock project by REHAU authorised partner GRM. 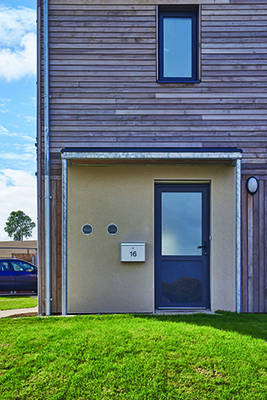 Based on the GENEO® system, the doors can achieve a possible Ud value of 0.7 W/m2K, ensuring they meet the exceptionally high efficiency standards demanded by the Passivhaus Trust. Created in partnership with suppliers Roedenburg, the AGILA Passivhaus doors come in a range of contemporary and stylish designs and can be customised with GRP overlay skins in a range of colours and finishes using either foils or Acryl II colour coating.